The Civil Service Commission through the Examination Announcement No. 8 Series of 2018, announced the 2019 schedule of the Civil Service Exam- Pen and Paper Test (CSE-PPT). If you are planning to take the civil service exam, either the professional or the sub-professional level, please see the schedule below including the requirements needed in filing your application. As you can see from the table above, the Commission conducts the Civil Service Examinations twice a year to give chances to those who are not able to take the exam on the first batch. Please be reminded that the application for the exam will be on a first-come, first-serve basis. If the CSC reaches the target number of applicants even before the deadline, the Commission may close the acceptance of applications earlier than expected. Here are the examination centers where you will take your respective exam. These are the testing centers from the last CSE-PPT, so we expect that the exam locations for the Civil Service Exam 2019 will be the same. Please be reminded that the list below may change without prior notice. Please stay tuned. You must be a Filipino citizen, at least 18 years of age at the time of filing of the application. You must be of good moral character, no criminal record or has not been convicted on an offense involving moral turpitude. Must not have been dishonorably discharged from military, police, fire or jail service or even dismissed for cause from any civilian position in the government. Must not have taken the same level of career service examination either through PPT or CSC Computerized Examination (CSC COMEX) within three (3) months from the last examination taken. You can apply regardless of your educational attainment as long as you meet the qualifications above. A duly-accomplished application form (CS FORM No. 100 Revised September 2016). Leave the signature and right thumb mark spaces blank as these will be accomplished in the presence of a CSC representative/ processor during the filing of the application. Four (4) pcs. 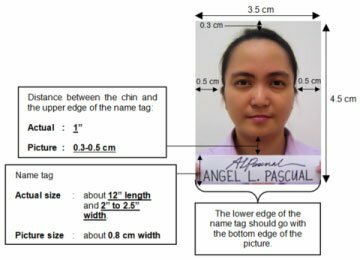 Philippine Passport size pictures with a dimension of 4.5 cm x 3.5 cm or 1.78 x 1.38 inches. Submit pictures that are taken within the last 3 months prior to the filing of the application. The picture must be colored in a white background and printed in good quality photo paper. Additionally, it must be in the bare face with no eyeglasses, colored contact lens, or any accessories that may cover the facial features (facial features not computer enhanced). Please refer to the images below for a more detailed explanation of this matter. Present a valid identification card and submit a photocopy of it. Please refer to our guide: CSE List of Accepted ID. If your only available ID does not contain your birth date, submit a copy of your NSO or PSA Birth Certificate. If you have dual citizenship under RA 9225, submit a copy of a Certificate of Retention/ Re-acquisition of Philippine Citizenship issued by the Bureau of Immigration. 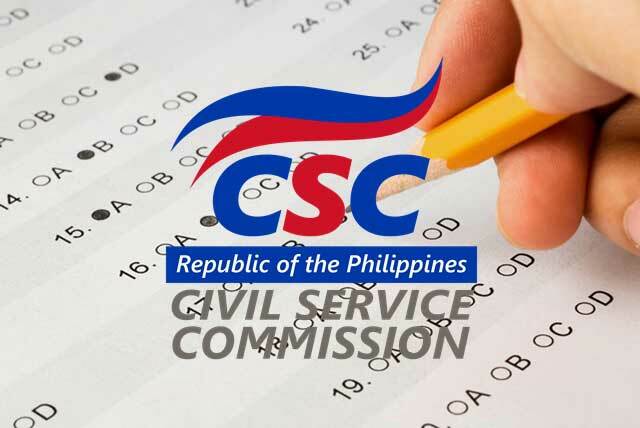 You must personally file the Civil Service Exam application at the CSC Regional Office (CSC RO), or at any of the CSC RO’s Field Offices where you intend to take the examination. Check the Civil Service Commission Office Directory to find the CSC Office near your area. Only applications with a COMPLETE set of documentary requirements mentioned above must be submitted to the CSC Regional/Field Office. Please be reminded that proper attire should be worn during the filing of the application. SLEEVELESS SHIRT/BLOUSE, SHORTS/SHORT PANTS, and SLIPPERS are NOT allowed. Submit the accomplished application form without affixing signature and thumbprint. After reviewing and evaluating your application form, the CSC officer will require you to affix your signature and thumbprint. He/she will verify your examination records through their E-Retaker/ DIBAR System to check if you are really qualified to take the exam. If qualified, he/she will advise you to pay the examination fee to the cashier. Upon examination fee, the CSC personnel will issue an official receipt and examination slip. What’s Next After Filing the Application? Organize all the needed documents needed during the examination day, e.g., valid IDs, examination slip and receipt. They will come in handy when your CSC Regional or Field Office requires them of you. Do not lose them! Do not rely solely on your stock knowledge. Know the scope of the exam and gather review materials. You can also use our free online civil service reviewer with mock examinations to give you the needed exposure to the actual tests you will take. Remember that by failing to prepare, you are preparing to fail. The ONSA or the Online Notice of School Assignments will be posted on the CSC website around two weeks before the date of your exam. This is where you will get details on the exact venue of your exam. DO NOT wait until the last minute to check the ONSA. Coordinate with your Regional or Field Office early if you have questions about your venue preventing you from getting lost on exam day. Take note that the CSC will not be able to address your queries during weekends (the exam is on a Sunday). For exam-specific concerns, please email your questions to the CSC Examination, Recruitment and Placement Office at [email protected] and [email protected] You may also call them at Tel. # (02) 951-2578 or (02) 931-8163. The Civil Service Exam result will be available on the official website of the Civil Service Commission within sixty (60) working days after the examination. However, the results may come out earlier or later than the expected released date without prior notice from the CSC. Hello po , matanong ko lang po kung saang lugar mag pa file nang application dito sa cebu city? hi po maam/sir just wanna ask kung pwede na po ba mag file for examination this april 2019 sa manila city hall po thanks! hi maam/sir just wanna ask kung pede na po ba magpasa ng application form for this april 2019 sa manila city hall ? pwede po ba mag take ng exam kapag graduate ng 2 years computer programming? Thank you! Tanong ko lang kung san ka nag file maam so doon ka rin ba mag exam baka kasi pwede po kung nakapag file kana sa manila pwede ka rin ba mag take ng exam sa ibang lugar ? Good day Ma’am/Sir, ask lang po kailan po exam ng Civil Service ngayong taon po dito po sa San Fernando City, La Union po. And pwede po ba ako magtake ng Prof. kahit vocational course lang po kinuha ko? Thank you po. The next exam is on August 4, 2019. Yes, pwede ka mag-exam regardless of your educational attainment. Yes, pwede ka mag-exam regardless of your educational attainment. Hi po, San pwedy mag apply dito sa Cagayan deOro? Hi good evening. Is it really need na magdala ng NSO sa exam day? Thank you. Gudam ask ko lng po san po nagpa file ng application pag mg eexam tga baliwag po ako. At anu po mga req? Thank u..
Hi goodafternoon po kelan po ulit ang civil service exam?? Ask o lang po kung ano po yung latest or updated application form to download and print.? If I’m not mistaken, 2015 revision ang latest. Yes, pwedeng pwede. Kung kaya mo naman ang professional, yun na ang kunin mo. Good day sir/maam., may ask if there’s an age limit in taking the exam??. and i already graduated 12 years ago! Can i still take it? Thank you! 18 years old pataas lang po. Pano po kung mag-18 pa lang po before day of examination, qualified pa rin po ba? For instance, like me po gusto ko na po kase magtake ng CSE, July 30 pa po kase ako mag 18 pwede na po bang mag-apply for CSE? Allowed po ba mag take ng civil service kahit senior high school pa (Grade 12) ? Kung 18 years old and above ka na, yes pwede. Ilang takes po ba ang allowed if in any case na di pumasa ang magtake? Thank you po in advance sa response. Allowed po ba ang Senior High School mag take ng Civil Service exam? You have to be at least 18 years old to take the exam. Yes po wala problema dun. Will they give an extra sheet of paper? If we will do manual computation? Hi poh d2 poh sa naga city saan poh mag submit ng requirmts para sa bacth 2 for civil service exam tnx poh hope you reply godbless poh. Region 10 po ang Iligan City, hindi ARMM. Is the Fire Officer Eligibility (FOE-a second level eligibility) could be converted into Professional Eligibility? Is the FOE eligibility can also be used as an eligibility for other government agencies for clerical and other positions in the government? No. You can’t convert it to professional eligibility. You can’t also use it when applying for other government agencies. It is exclusive for BFP only. Hi po pwede mag ask? Anong schedule at saang lugar ng pagpasa ng requirements sa cebu city? At kahit anong oras ka po ba magpasa ng requirements. Salamat! pakisagot po ang tanong ko. Monday to Friday from 8:00 AM to 5:00 PM only. MY slots pa po ba within TACLUBAN CITY area for CS exams this coming March? Hi po ask ko lang po. Kung pwdi ba mag registration sa iba tapoz sa iba ka magpapa assign ng lugar na pag eexaman.. Exp. (sa manila ako magpaparegister tapos gusto ko sa bicol-legazpi), pwdi po ba?? Paano po ba malalaman kng klase ng exam ang fit sakin o pede ko po itake?thank you.God bless. Kung ano ang kailangan mo sa target mo na trabaho sa government. I suggest kunin mo na yung professional level kung kaya mo naman. Sir saan po sa manila pwede magapply for civil service exam? Hello po. Sa tarlac po ba walang naka sched na civil service exam? Hindi po kasi nakasulat sa list e. Thank you po. Malamang sa San Fernando, Pampanga ang exam ng mga taga-Tarlac. Good pm po. Allowed po b ang calculator during the CSC exam? Thanks po. Sa experience ko hindi po allowed. Manual computation talaga. Good pm po. Pwede po b magdala ng calculator during the CSC exam? San pa po sa NCR pwede magpasa ng application form hindi na kasi ako naka-abot dito sa Laguna. Yes poo walang problema dun. Magkaiba naman ang mga agency na nagbibigay ng CSE at LET. Hi sir kelan next sched.ng exam sa civil service 2019.
when will be the exam of cs? and what is the requirement to the application form? pwedy po ba cs form no. 100 (revised 2015)? You can take the professional level regardless of your educational attainment. Get an NBI clearance and birth certificate. Good afternoon po. Pwede pa po bang magfile sa january 16? San po pwedeng magfile application form? Yung malapit lang sa Santa Rosa Laguna? 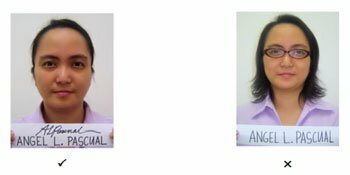 Pwede po ba yung sulat sa ID picture ay computerized na? ang studio na po maglagay ng name? Hi sir. san po ba pwede magpasa ng CSE form sa Q.C ? taga tandang sora palengke lng po ako, mag take din po kasi ako ng exam, salmat po sa sagot and Godblessed. Pwde po ba walang collar ung sa I.d. Kailangan po b my collar ung picture? Hi. Ask ko lang po kung yung application form sariling print o hihingin po yun sa centers na pagsusubmittan ng requirements? Thank you. Alin sa dalawa pwede. Para sigurado, dun ka na humingi sa office. How long does the exam and saan po nag eexam sa mismong office po ba ng CSC? Yes po as long as meron pa sila na record. Hi, pwede po ba magpasa sa Q.C region kahit taga Rizal ako? Thanks in advance. Hello! Nasabi nyo po na 8×14 po ang paper size. But stores normally sell 8×13 lang. What to do po? Hi Sir pwede po ba ako mag submit ng application pag sabado? T.Y. No. Monday to Friday lang po at office hours ang submission of Civil Service Exam applications. Yung sa 4 PCS I.D picture passport size pwede po ba yung walang kamay na nakalabas pero may name tag naman po sya na handwritten? Hi po.. Indi ko na po marecall if when un last time nag exam ako.. Pwede ba i leave blank un sa application form? Depende sa dami ng nag-aaply for the exam. Sa experience ko sandali lang, wala pa 30 minutes. Sa requirements, please see the above post. Nakaindicate naman dyan kung ano mga requirements. Hi! ask q lan gpo if ever na high school grad lang po pde po ba mag-take ng Pro-exam? Yes. You can take any of the exams regardless of your educational attainment. Wala pa po na appointment system sa CSC. Pwede ka po magsumite sa pinakamalapit na CSC REgional or field office. Yes po, allowed po kayo nyan mag re-take sa March 2019. Hello , taga Olongapo city po ako, pwede po ba na magfile ako ng application sa Pampanga? At need po ba na Sub pro muna bago mag Pro ? Or pwede h direct pro na po agad itake ko? THANKS. Pwede ka magdiresto professional na. Yes, pwede ka dun mag-aaply sa Pampanga. Same region lang din naman. Walk-in lang. Wala pa online appointment sa CSC. FREE lang po ba yung CSE form sa CSC Regional Office? can I apply and take the exam to other cities? Hi, pwede po bang ibang tao mgafile ng application form? Hi! sa picture po ba na ipapasa pwede po ba naka smile? Hello, anong size po ng bond paper i-print yung CS form? Can I take the exam ? I got married this year & I still dont have an ID bearing my husbands surname. Yes. Magprovide ka na lang po ng marriage contract. pwede po bang magtake kahit professional na. hindi po ba maforfeit yung license sa PRC? Yes po pwede naman kung gusto mo mag-take. DI ka naman pipigilan ng CSC at di maforfeit anag license mo. Me slots pa po ba within Batangas area for CS exams this coming March? Yung CSC Office lang po sa inyo ang makapagsasabi nyan. pwede po ba mag pass ng requirements at mag take yung taga laguna sa pasay ? PWEDE PO BA IBANG TAO ANG MAGPASA NG REGISTRATION FORM KO? MAGPAPADALA NALANG PO AKO NG AUTHORIZATION LETTER KASAMA NA ANG REQUIREMENTS AS PROOF NA AKO PO TALAGA ANG NAG FILL UP NG FORM. Hello.. Pwede bang mag file ng application kahit kaka take lang ng exam last Nov. 2018? Yes. Basta more than 3 months pwede yan. Goodevening…pwede bang magtake ng civil service exam ang hindi nka tapos ng high school? Pwede po bang hindi printed yung name sa passport size id picture? Dapat po yung ganyan na nasa guide. Hello. Pwede ba ako mag file ng CSC and LET at the same time? Same month kasi yung exam pero different dates. But am I allowed to do that? Hi. pwede po bang mag take kahit college undergrad? Kahit saan ka pwede dyan. Kung sa tingin mo ang kaya mo ang professional, yun ang kunin mo otherwise, yung sub-pro. pwede po ba magparegister kahit sunday? sunday lang po kasi ako available. Sorry pero weekdays lang po at office hours. PERO WHAT IF WALA PO AKONG VALID I.D PWEDE PO BA YUNG CERTIFICATION OF VOTER’S I.D? Yes, it is readily available at any CSC Office. Are there have available slots if I pass my requirements on January 10, 2019? Yung CSC Office kung san ka magpapasa ng requirements ang makakasagot po nyan. Hi, Goodafternoon po. Meron pa po bang availble slot kung sa january 10 pa ko magpasa ng requirements? And, pwede po ba magpasa and magbayad ng fee sa Quezon City Hall dito sa East Ave. Q.C kasi ako malapit. I’ve heard meron pong mga professionals na na exempted sa Civil Service exam, ano pong mga course or sino pong mga professionals and di na kelangan mgtake ng exam? Thanks! If I’m not mistaken, basta Bachelor’s degree with licensure examination, automatic na may professional eligibility na pursuant to Republic Act No. 1080. Kung saang area magpapasa ng requirements doon din po ba magti-take ng exam? Hi! meron po ba kyong mabibigay na at least link or possible review for 2019 exam? TIA! kung hindi a maka pasa sa first take, pwede pa bang mka exam ulit? Yes. 3 months after the last examination pwede ka na ulit mag-second take. Hi Po, may I know the exact location of testing center here in Dasmarinas City. Thanks and Best Regards. Hi Admin! May I seek for clarification regarding Examinee Descriptive Questionnaire (EDQ)? Ayon po sa CSC, ang Test Items ay nahahati sa 2 pangkat: Test Proper (145/150 Items) at EDQ (20 Items). Counted na po ba sa Time Limit ng exam ang pag-shade ko ng aking personal information sa EDQ part (Items # 1-20) o may nakalaang ibang Time po para doon? Thank you po in advance! As per CSC through their official FB page, kasama ang EDQ sa total time limit ng exam proper. Good pm po san po pwede magpasa ng application near mandaluyong? Hi po, ask ko lang po if pwedeng magregister pag sabado? Coz my work does not allow absences on weekdays so weekend lang po ako pwede. Thankss..
Hindi po. Weekdays at office hours lang pwede. Good day po. Saan po ba pwedi mag file nang CSC dito sa Surigao del Norte? I just want to make sure kung tama po yung place kung saan ako mag file. If I am only 2 years course graduate, can I take the professional exam? Good morning saan po sa borongan ang apllication center? Hi I am graduating student can i take professional CSE? Yes. Kung yan ang pinakamalapit sa inyo. Hi po. San po ako magpapasa ng requirements? Nasa Aklan po ako. Kahit yung pinakamalapit lang po dito sa amin. Thank you po! Pwedi po ba kumaha ng certificate of eligibility sa CSC ung Naka pasa sa board exam? You don’t have to. The CSC does not issue a separate Certification of Eligibility for board/bar passers. Your proof of eligibility is the Certificate of Registration issued by the PRC. Hello po goodam. Im from Rosario, Cavite saan po sa Trece pwede mag file ng application for exam? Hi Maam Taga Almanza Dos Laspinas pi ako saan po ako pwde mag take ng exam? Im a graduate 2 yrs college. thanks for your reply maam. Maam ka ka exam ko lang po last year , pwd po ba ako ma exam pa kahit di pa nag 1 year na exam man ko po na prof po . Kung mahigit 3 months na after the last examination, pwede ka mag exam. Maam/sir. I am residing at cainta.. San po ba pinaka malapit na CSE Office from my area? are the slots limited only? Yes. Submit your exam application as soon as possible. Where should one submit the application when the applicant is staying in UP Village QC? My son went to three field offices including the one in Diliman and he was told, they are not sure if they will be processing there ? Are there field offices that are allowed to accept applications and some not accepting ? Or are all field offices supposed to accept submitted applications ? He can file his application to the CSC- NCR Regional Office at 25 Kaliraya Rd, Santa Mesa Heights, Quezon City. I check online and there are quiet a few csc field offices na nakalista, so kahit san don ang pede kung bisitahin para magfile ng csc exam? I am a graduating college student ask ko lang po kung allowed akong magtake ng professional level eligibility? Yes. You can take the exam regardless of your educational attainment. Is there a new CS form(2018)? Wala pa po. 2016 pa ang latest. Good eve po ma’am and sir,I’m a graduating student this incoming april, can I take the civil service exam,else can I allowed to passed the requirements for this march 2019 exam, and if possible,that i allowed,where is the venue po ma’am and sir of submitting the requirements in tacloban city. If I will be applying for a napolcom laderized system as I am a college graduate. Should I take the sub pro or pro? Appreciate your help. You need the professional eligibility. Goodmorning po,pwede po ba akong magtake ng exam this coming march? Kakakuha ko lang po ng board exam nung dec.16,2018. Salamat. Yes. Board exam naman yun at hindi Career Service Exam. Depende po yun if nakapasa po kayo hintayin nyo nalang muna yung result. Pursuant to Republic Act No. 1080, The Commission grants the second-level civil service eligibility to Bar and PRC Board Passers even without taking the examination. The exemption is likewise granted to Latin Honor graduates pursuant to Presidential Decree No. 907. Wait nyo nalang po muna yung results if pasado kayo sa board exam exempted na kayo sa pag take ng civil service exam. May open po ba na csc field office khit sabado? Wala po. They only accept applications during office daya/hours. Can we still check previous results for CSE? Like for 2012 and 2013? Is it possible to file for an application in Manila but the exam location be elsewhere? Ask ko lang po if dito po sa Laguna magpa file ng application form for the examination, san po pupunta..I mean san po office ng CSC dito? Where po ang testing center dito?tnx..
Can I ask someone to do my application? I have an autorization letter. I don’t think so. You have to affix your signature and thumbprint on the application form in the presence of the CSC processor. Hello, I wanted to take the exam on March 2019 but I’m currently an OFW and cannot be home until March. Does the embassy process this as well? Hello ask lng po nasabi ninyo po kasi regardless of educational attainment ibig pong sabihin kahit elementary lang na abot mo pwde kna dn kumuha ng sub prof na cse or make take nito tama po ba?? Hi where to apply in manila? Im graduating student can i take a exam? And can i pass the requirments? If you are least 18 years of age at the time of filing of the application, you can take the examination. Please call the nearest CSC Field Office po. No. You must submit it personally. Hello. Where do I file my application for the CSE? I’m from Q.C. Can I register online for CSE? if so what is the procedure? No. You have to file your application in person. Hi. I am from Calamba Area. Where would be the possible nearest examination location? If i passed the licensure exam, Can i still take the CSC exam? Thank you! Yes, you can still take the Civil Service Exam. Hi, what if my middle name that I’m using in ID’s is different from my PSA, can I still take Cs Exam for the Schedule of March 2019? I’m a Highschool graduate, am I quialify to take the exam? Yes. The exam is available to all Filipino citizens regardless of educational attainment. Hi Topnotcher, what about Board Passer of Electronics and Communication Technician Exam, is it sub prof or prof? Where to pay the P500 peso fee as well as to submit all the doc. requirements? Submit all the requirements to the nearest Civil Service Commission Field office. I take the comex exam last dec. 4, 2018, yesterday.. Am I allowed to take the examination on march 17? Am I allowed to file? Can I submit on Saturdays? 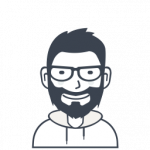 What are example position for sub-pro? Is their any limitation as to the no. of times that a person can take? No, there’s no limit as long as you have not taken the same level of career service examination within three (3) months from the last examination taken. If you are holding a sub-prof eligibility, you are qualified only to the first level (clerical) positions. On the other hand, if you got the professional level eligibility, you can be appointed to clerical and technical positions including executive/managerial posts, provided that you also meet the education, experience, training, and other requirements of the positions. If i’m a board passer last June, can i still take the exam this march? Yes. But you don’t have to. You’re already eligible for government positions. Can I ask somebody to submit my application on my behalf? If yes, is there any requirement required for him to submit my application (like NOC)? If I am out of the country? Can I still submit my application form? No. You must submit your application personally. what is MC 11, CAT II?